Gag Wear is a widely acclaimed manufacturers, wholesale suppliers and exporters of soccer balls in the market. We offer variety of options to choose from so that customers can find their desired option easily. In the soccer ball category, we basically deal in mini soccer ball, cheap soccer ball, leather soccer ball, kids’ soccer ball and football. Our offered footballs are made up of finest quality materials and thus they are durable and strong. With sincerity and hard work of our professionals, we have carved a niche for ourselves in this domain by providing premium quality mini soccer balls in Jalandhar. Our manufactured soccer balls are highly in demand and widely used by both amateur and professionals sportsmen. Visit our website and shop whatever you like. Backed by the experience and services of dedicated workforce, we have the capabilities to deliver the soccer balls as per the client’s requirements. Our soccer balls are available in vivid colour combinations. Browse our website and find the excellent quality cheap soccer balls in Jalandhar with us. 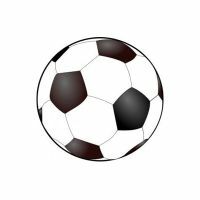 We have thorough knowledge of the varied aspects of the market and thus we are actively engaged in providing high quality leather soccer balls in Jalandhar. The offered range of leather soccer balls is strictly fabricated as per the international quality standards and guidelines so as to meet client’s needs. Being the prestigious kids soccer ball manufacturer in the market, Gag Wear is instrumental in offering assorted range of soccer balls to our clients. They are available attractive colour combinations and thus can easily grasp the attention of people of all ages very easily. Are you hunting for the best known football wholesale supplier in the market? Then stop your search here as you have reached the rightmost place to find the same. We are involved in providing premium quality sports football that is vastly sought by our valuable patrons across the country.